After you determine scheduling for your course run, you enter this information in Studio before the course run begins. For more information, see Creating a Course About Page in Studio. 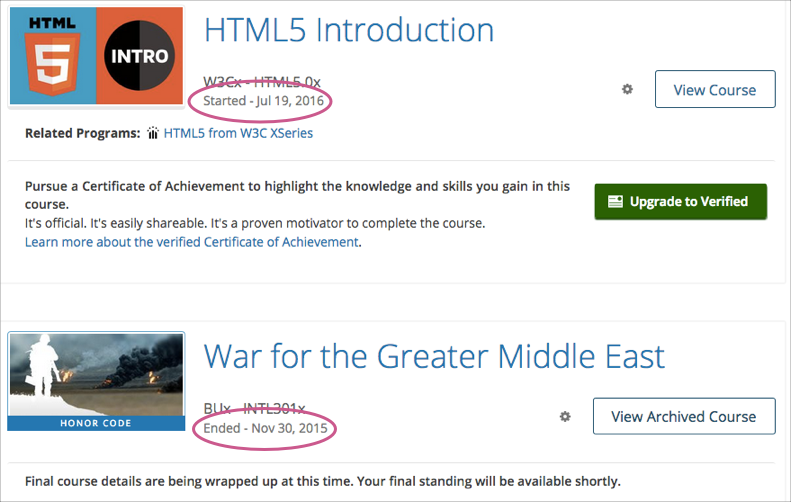 As soon as enrollment starts, prospective learners can see your course in the course catalog, view the course About page, and enroll in the course. To find the URL of your course’s About page in Studio, select Settings, and then select Schedule & Details.